The 35-year-old broke the existing women's record by over an hour. For Camille Heron, 2017 has been a roller coaster: podium finishes followed by freak injuries and DNFs followed, last weekend, by a 100-Mile World Record. 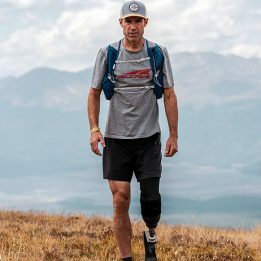 Herron, 35, of Oklahoma, finished the Tunnel Hill 100 in 12 hours 42 minutes 39 seconds, cutting more than an hour off of the previous record, which was set last year by Gina Slaby. 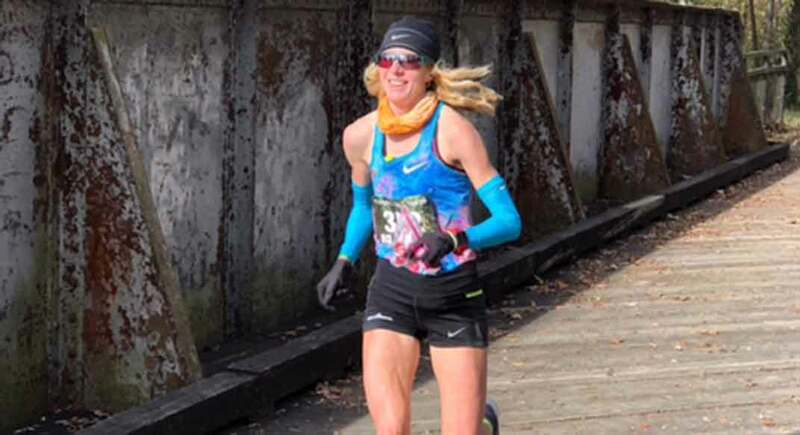 Herron, an elite road runner who began racing trails just two years ago, started the season with a bold goal: to be the first American woman since Ann Trason to win both the Comrades Marathon and Western States 100 in a single summer. (Western States would be her first attempt at the 100-mile distance). In January, she earned her golden ticket with a second-place finish at the Bandera 100K, and one month later won New Zealand’s competitive Tarawera 100K. In early June, she pulled off the first part of her big goal, winning Comrades in 6 hours 27 minutes 35 seconds. Just five and a half miles in, she slipped and slid into a tree, hitting her head. “I developed pain in my head and neck, and paralysis in my hands,” she says. “I lost the ability to hold and squeeze my bottles.” She got up and wobbled on, but slipped again several minutes later, this time taking a hit to the ribs. She made it to the mile-15 medical station not fully conscious. She had suffered a concussion. The decision to drop was easy. She took several weeks to let her head and body recover. But her desire to conquer 100 miles was still strong. Just six weeks later, she lined up for the start of the Leadville Trail 100. After 25 miles, she began to experience a “deep pain” in her hip. Her left leg felt paralyzed. Fearing a stress fracture or pinched nerve, she dropped at mile 40. “It was disappointing to have to drop again, but my health is so important,” she says. Herron spent the next two weeks resting and rehabbing what turned out to be a severe muscle spasm and pinched sciatic nerve. She returned to running slowly over the next month and a half, limiting herself to the roads, to avoid aggravating her hip. Gradually, she worked back up to long runs of 18 to 22 miles. During a few weeks, she averaged between 115 and 130 miles. All the while, she worked with a medical team to address muscle imbalances around her pelvis and restore full range of motion to her hip. 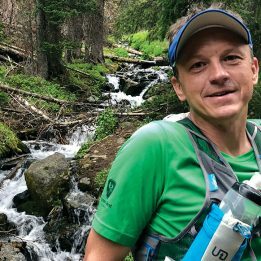 By October, she felt her road speed beginning to return—a welcome change after a summer spent focusing on technical mountain races. “It’s probably the best two-plus months of training I’ve had in a while,” she says. After another DNF at France’s Les Templiers 76K, in October, Herron turned her attention to a last-ditch attempt to finish a 100-miler in 2017: the Tunnell Hill 100, a flat, gravel course along a converted railway line in Illinois. The race is one of the few trail 100s to be certified as a USATF record-eligible course. 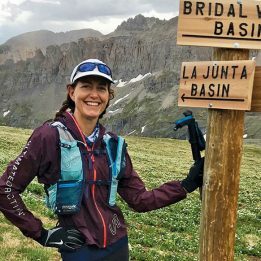 “It was a unique situation to try and go for both a world record and the 100-mile trail fastest known time,” she says. Herron’s research into old interviews with Ann Trason revealed that the former star ultrarunner had once thought it possible for a woman to run 100 miles in 12 hours 12 minutes. Herron set her sights on a sub-13-hour finish. (The existing 100-mile women’s record, 13 hours 45 minutes 49 seconds, had been set the year prior, by Washington native Gina Slaby). In order to make her record attempt official, there would have to be a US Anti Doping Agency Doping Control Officer on hand, as well as backup hand timers and additional timing mats. Things came together quickly, and on November 11 Herron was standing on the start line in Vienna, Illinois. Every 30 minutes, she took a gel. In between, she consumed sports drink. With 20 miles to go, she allowed herself a special treat: beer (she says it helps settle her stomach). As night fell, her pace slowed, but she found motivation in the key workouts she’d completed over the past few months and in the plight of her friend’s daughter, who is critically ill in a hospital. She crossed the finish in 12 hours 42 minutes 39 seconds, more than an hour under Slaby’s 2016 record. Having earned her redemption, Herron is already looking to tackle the Comrades-Western double again in 2018. “I’d like to chase some of the toughest speed records on road, track and trail,” she says. Camille, the world is only 30 minutes away now. (To juxtapose Eliud Kipchoge’s quote with Ann Trason’s belief on how fast a woman can run a 100 mile race).